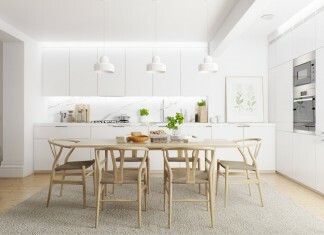 Roohome.com – Applying a modern apartment interior design right now is a good idea. You do not worry, this design is below is presented for you who have a problem in designing a modern apartment in the middle of urban life. The design is designed beautifully with contemporary decorating ideas 2016. Your dreaming apartment will come true if you apply this design right now on. Grab your chance and create it with pleasure. Do you want to see the design? Here there are! 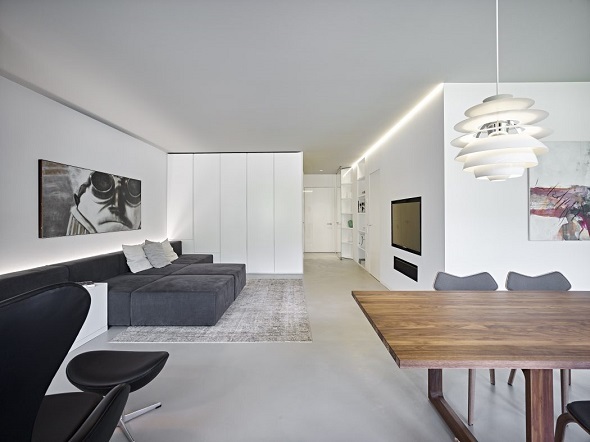 Burnazzi Feltrin Architetti presents you a modern apartment design which is as nice as you want. 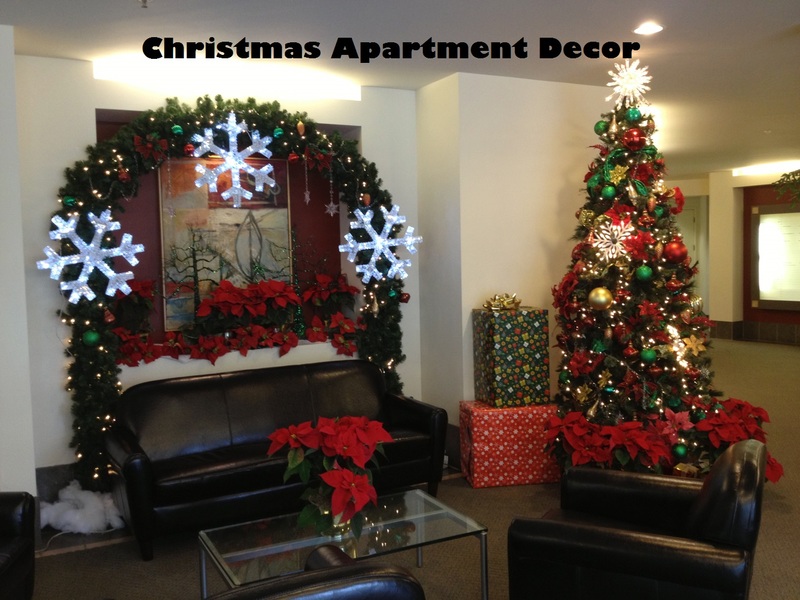 The designer will guide you how to utilize contemporary apartment decorating ideas to be applied now. 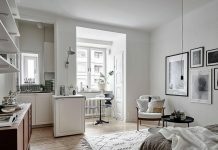 First of all, the designer shows you the combination between gray, black, and white as the main foundation colors in this apartment. The use of three monochrome tones is to produce a modern look as same as the concept. 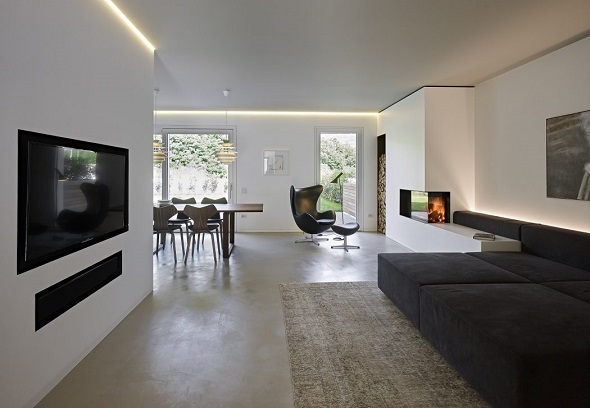 Interestingly, this is a spacious living room that decorated perfectly by placing contemporary furniture as well. The furniture is dominated with black colors such as a simple couch texture and a single chair. 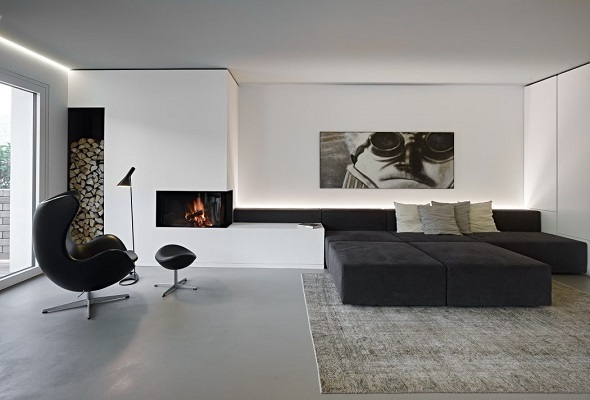 The designer also matches the black color with a bright white wall around the living room. 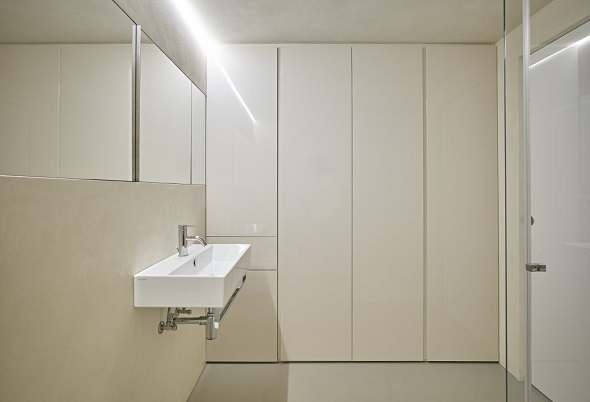 The designer is also creative by utilizing the wall as the cabinet. You can call it as a multifunctional wall. Another space, there is a simple dining table that placed near the living room. You do not nee worry to place a dining table if you do not have much space for a dining room. The dining table itself is designed simply by using a wooden as the material. The designer hangs up a creative chandelier above the dining table to make it stylish and fashionable. A big glass door also can be used to produce a natural sunlight into the living room and dining room. 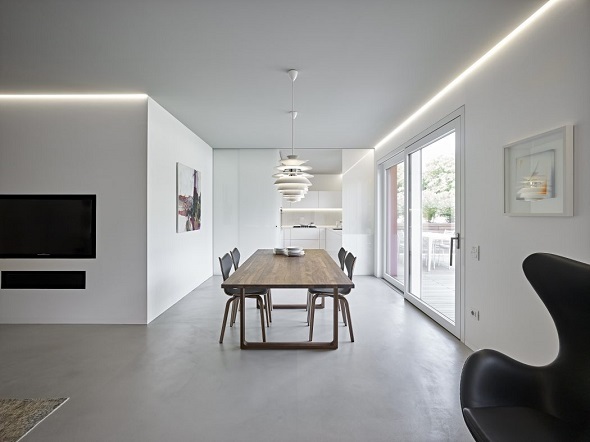 Burnazzi Feltrin Architetti divides two different rooms below by applying two different styles as well. 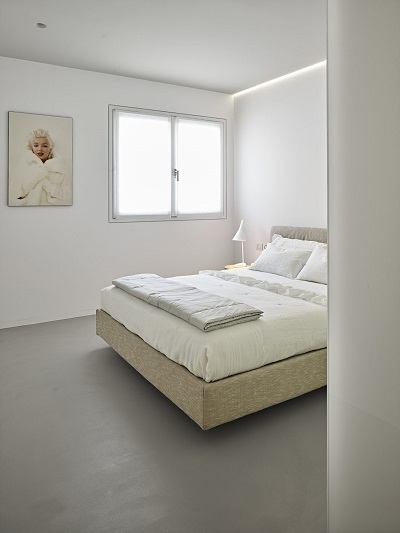 The first bedroom is designed simply natural with white tones all over the room. The designer keeps using white tones in order to produce a cozy atmosphere so you will produce a good sleep as well. The second is a beautiful nursery with white tones as well. The designer utilizes this modest nursery with two windows in order to enlighten the nursery well. Do you still wanna see a modern apartment interior design? 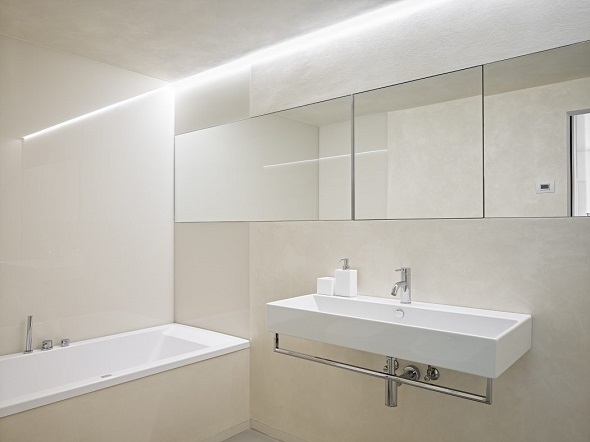 Let’s take a look a modern bathroom design below. Although the bathroom is designed with a simple interior, but the designer keeps applying contemporary decorating ideas to combine it. This is a modest bathroom but decorated with contemporary furniture. You can see from the washing stand looks as simple as the bathtub. The designer does not place any cabinet just because want to minimize the room perfectly. 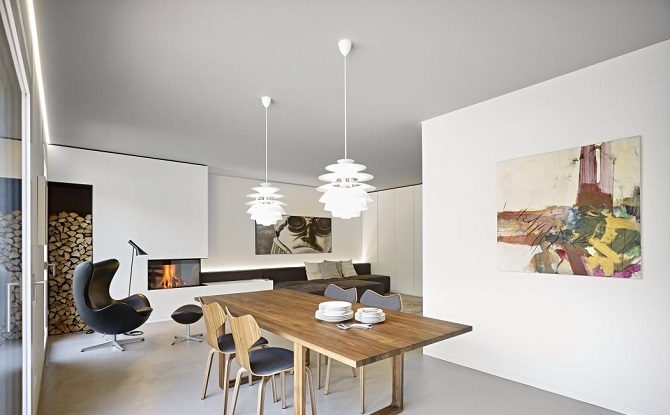 What do you think after seeing a modern apartment interior design above? 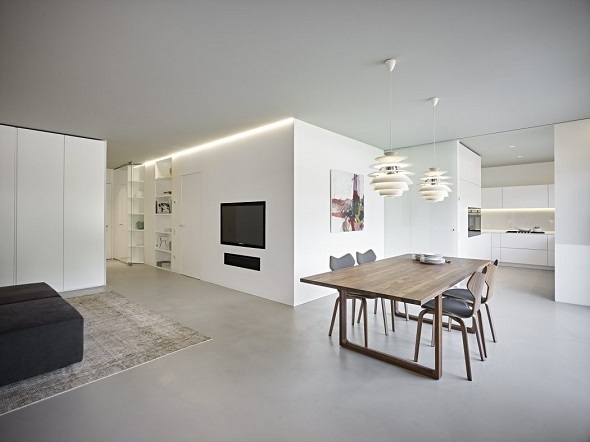 Burnazzi Feltrin Architetti has shown you modern apartment interior design ideas 2016 for you. If you want to see other designs, just visit and check here. Have a nice day! Previous articleDecorating Elegant Bedroom Designs Adding a Perfect Classic and Luxury Decor Will Inspire You!